I have a love of all thing miniature. So I always love pulling out these Christmas miniatures. They came from my grandmother. Beth rocking Baby God in her rocking chair, singing, "Rocka, rocka Baby God, rocka." A few weeks ago, Beth started talking about Baby God. I'm not sure where she got this from, but I love her description of Jesus Christ. I mean, I've never told her that Jesus was God and I've never had a heart-to-heart about the holy trinity. Yet, something within her knew. My 2.5 yr-old boiled down all the theology and mystery of Christmas into two words: Baby God. Matt and I smile everytime we hear her say it. When we driving around looking at Christmas lights, Beth would be the first to spot the plastic light-up nativities. "BABY GOD! BABY GOD! Der Baby God!!" Shouldn't we all be declaring his arrival--not just at Christmas but his Second Coming? Shouldn't we all on the lookout for glimpses of God here on Earth? Shouldn't we all be estatic-besides-ourselves-full-of-glee when we do? Here's hoping we will all be on lookout for Baby God. ....these are a few of my favorite things! Thank you so much to everyone who participated! It was so fun to read about your special gifts and the ones you want to give Jesus this year. Here are some more Christmas scenes around my house. We found Beth chillin by the tree the other night. This is our "Major Award." This is my new window display this year. In years past, I've always wanted to do a special arrangement with our manger and baby Jesus, but nothing ever seemed to pan out. This year it did! This is the window in our dining room so every night when we light our Advent candles and eat dinner we get to sit in the glow. This is our baby Jesus doll. You can read more about him here. A friend gave me a few strands of icicle lights that I wrapped in chiffon-type fabric. Star is from Ikea. Using a friend's Cameo Silloute, I cut the words out in cardstock and taped to the window. Last year, while I was teaching a group of girls at church, we talked about giving Jesus something for Christmas. I mean...it IS his birthday and all. I've been thinking about it again this season as the 25th approaches. What should I get Baby Jesus this year? Time. Quality time. Every day. I've not been spending much time--alone time--with my Savior these days. I've been sending up popcorn prayers during the day, reading some spiritual books, but not spending that every day, one-on-one time with God before the house wakes. I want to enter into that place again. I want to give Jesus my time for his birthday. 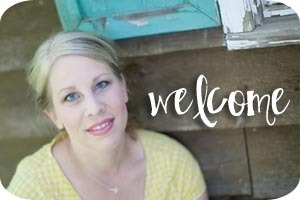 And I'm very excited to use this new devotional, The Quiet Place by Nancy Leigh DeMoss. "It's not easy to find a quiet place these days. Every parent with little ones (or teens or grandkids) knows what I am talking about..."
"...email reminders chiming, music blaring, appliances ding-donging, Skype whoosh-ing..."
"...there's the inner racket that reverberates in our heads and in our hearts--perhaps the hardest place of all the find a quiet place." "...one of my greatest, perennial struggles has been the temptation to let the other sounds and voices crowd out His voice...not getting still enough, long enough, to hear his voice; trying in vain to cultivate intimacy with the Savior while on the run and in the midst of the incessant hulabaloo and activity." Yow-zah! That last bit really hit home with me. Each dated page begins with scripture. (Although, Nancy remind us that the entries "not intended to supplant your need for God's Word, but to create a hunger..."). In each entry, Nancy speaks honestly. She is real and vulnerable, sharing her own personal struggles and stories. She talks to the reader like she is a friend. I love it when people are "real." But she also speaks truth (like any true friend) and challenges at the end of each entry to dig deep--to answer personal questions that require that quiet, alone time with the Lord. The Quiet Place would make a wonderful gift for pretty much any woman you know--mom, mother-in-law, friend, aunt, daughter, grandmother. It's practical, significant and pretty. The nice people at Moody gave me an extra copy to give away to you lovely blog readers. Leave a comment between now and Wednesday, Dec.19 and you'll be entered to win. Just leave a comment about the most-favorite gift you've ever received....or what you plan on giving Baby Jesus for his birthday this year. You can copy me. You can give him your time. That's one gift that he can't just get enough of. So... I love books. I love KID books. And I love Christmas. Translation? I have a large collection of Christmas books. They stay up on the top shelf until the start of December, when I pull them down for my children to "rediscover" all over again. 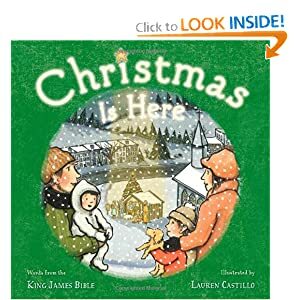 Now there are a TON of Christmas books out there. But I thought I would share our favorites--ones with great meaning, illustration, prose and rhyme. 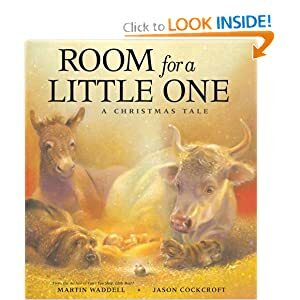 Create your own Christmas library by giving a new book to your children each year. In the meantime, you can get all of these at the library. 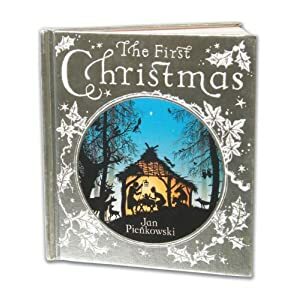 I think this is my all-time FAVORITE Christmas book. It tells the story of a prideful camel who travels to see "some baby." Hilarious, beautiful and meaningful. Animals in the stable make room for all small creatures: a stray dog, a mouse and finally a tiny baby. 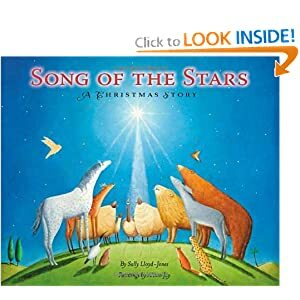 The Christmas story in told in adapted King James scripture. A community gathers around a church nativity scene. Really great illustration and it's short for little ones with short attention spans. 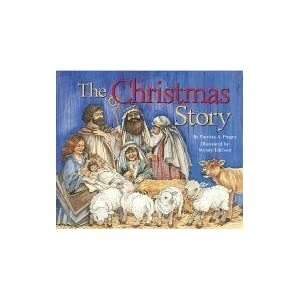 This one is written by the author of the Jesus Storybook Bible (a great Christmas gift, by the way!). 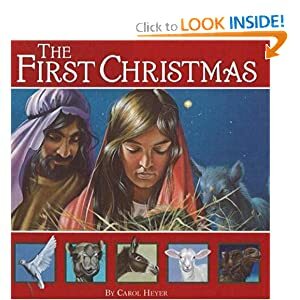 I love how it tells not of the people who discovered Jesus' birth, but of creation--animals and nature who anticipated and welcomed "the One who made us has come to live with us!" This one has a wonderful rhythm that makes it both fun to read and listen to. 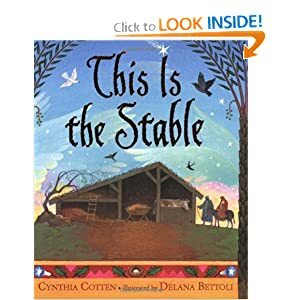 It's short enough for younger ones and a good one for early readers. This board book sturdy and perfect for the youngest of children. Toddlers will love holding this smallish book and turning the pages with no fear of tearing. Simple, short and straight-to-the-point about why we celebrate Christmas. 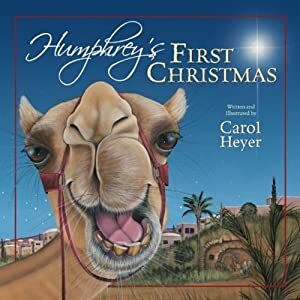 Written by the author of Humphrey's First Christmas (see above), this one tells the complete story of Jesus' birth. It starts with the angel appearing to Mary and reminds us at the end that "through his death and Resurrection, he saved us all." Look for a "cameo" appearance of Humphrey! Be sure to leave a comment and share your favorite Christmas books.